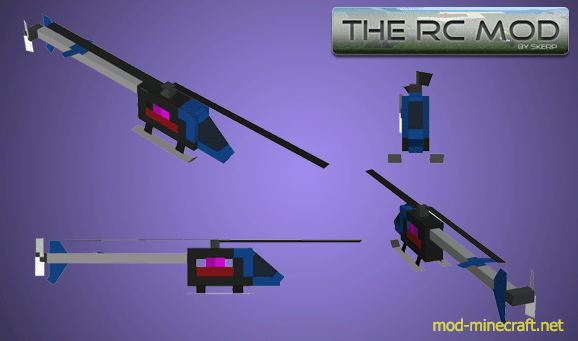 The RC Mod is an advanced Remote Control vehicle modification for the game Minecraft. 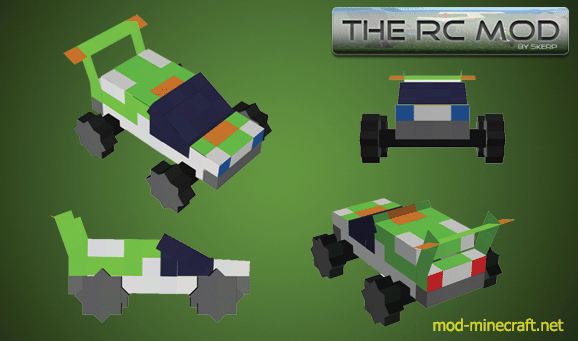 The RC Mod introduces many fully interactive Remote Control Vehicles into your custom built world played and controlled in game. 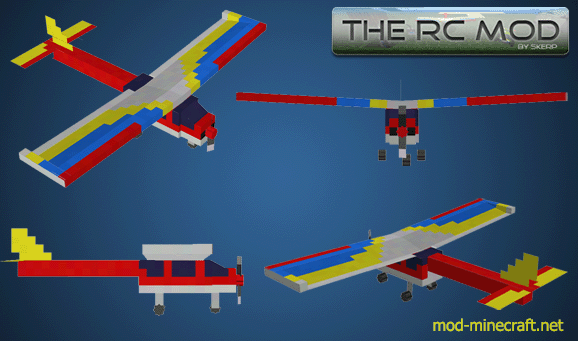 Featuring the most advanced flight dynamics and ground physics currently available. 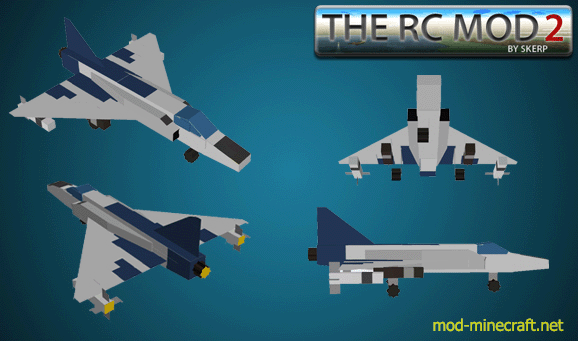 The RC Mod outperforms any other mod available. 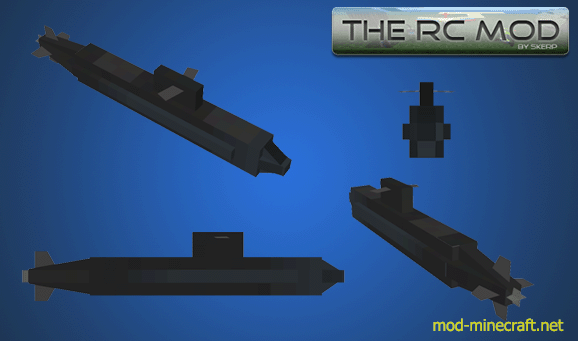 This is the first mod to introduce the full ?6 degrees of freedom? to the game offering you the most immersive and realistic in game experience yet. This works for both client and server installations! 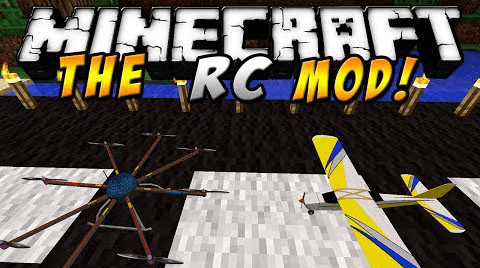 Delete the META-INF folder in your minecraft.jar file. Don?t delete it in your server file. Run your client or server to make sure you?ve installed Forge correctly. 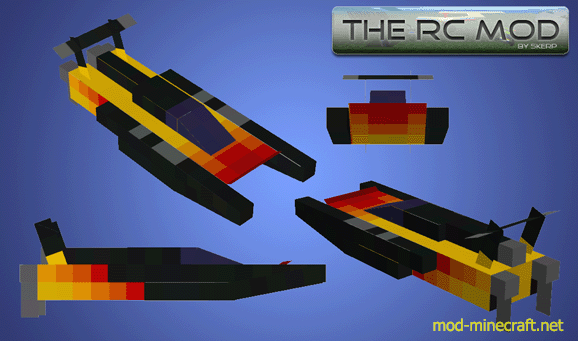 Put the The-RC-Mod.jar into the mods folder inside your .minecraft folder or inside your minecraft_server.jar.